Please read these Terms and Conditions (“Terms”, “Terms and Conditions”) carefully before using the https://holisticthyroidcare.net website (the “Service”) operated by SGW Inc. dba Holistic Thyroid Care (“us”, “we”, or “our”). The Service and its original content, features, and functionality are and will remain the exclusive property of SGW Inc. dba Holistic Thyroid Care and its licensors. The Service is protected by copyright, trademark, and other laws of both the United States and foreign countries. Our trademarks and trade dress may not be used in connection with any product or service without the prior written consent of SGW Inc. dba Holistic Thyroid Care. 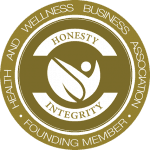 SGW Inc. dba Holistic Thyroid Care has no control over and assumes no responsibility for the content, privacy policies, or practices of any third party websites or services. We do not warrant the offerings of any of these entities/individuals or their websites. You acknowledge and agree that SGW Inc. dba Holistic Thyroid Care shall not be responsible or liable, directly or indirectly, for any damage or loss caused or alleged to be caused by or in connection with use of or reliance on any such content, goods or services available on or through any such third party websites or services. You agree to defend, indemnify and hold harmless SGW Inc. dba Holistic Thyroid Care and its licensee and licensors, and their employees, contractors, agents, officers and directors, from and against any and all claims, damages, obligations, losses, liabilities, costs or debt, and expenses (including but not limited to attorney’s fees), resulting from or arising out of a) your use and access of the Service, or b) a breach of these Terms. In no event shall SGW Inc. dba Holistic Thyroid Care, nor its directors, employees, partners, agents, suppliers, or affiliates, be liable for any indirect, incidental, special, consequential or punitive damages, including without limitation, loss of profits, data, use, goodwill, or other intangible losses, resulting from (i) your access to or use of or inability to access or use the Service; (ii) any conduct or content of any third party on the Service; (iii) any content obtained from the Service; and (iv) unauthorized access, use or alteration of your transmissions or content, whether based on warranty, contract, tort (including negligence) or any other legal theory, whether or not we have been informed of the possibility of such damage, and even if a remedy set forth herein is found to have failed of its essential purpose. SGW Inc. dba Holistic Thyroid Care its subsidiaries, affiliates, and its licensors do not warrant that a) the Service will function uninterrupted, secure or available at any particular time or location; b) any errors or defects will be corrected; c) the Service is free of viruses or other harmful components; or d) the results of using the Service will meet your requirements. We reserve the right to change these Terms & Conditions or to impose new conditions on the use of the Site as needed in which case we will post the revised Terms & Conditions on this website. By continuing to use the Site after we post any edits or additions to the Terms & Conditions, you accept the revised Terms & Conditions. You hereby grant us permission and limited license to use and reproduce your testimonial(s) (“Testimonial”) in whole or in part on the Site, social media sites administered by the Site (Facebook, Twitter, Instagram, Blogs) or in other official printed publications without further consideration. You agree and grant permission to us to retouch, edit, or summarize Testimonial for display, or otherwise, create derivative works from Testimonial for display. We shall use such Testimonial only for the intention of a “Share Your Story” communication purpose. You represent that your Testimonial is your original work. Your Testimonial may be used by us to provide basic content for a national based advertisement campaign. Testimonials may be rejected or approved for posting on the Site. Further, Testimonials may be removed from the Site at any time and for any reason at our sole discretion. You acknowledge that we may elect not to use Individual’s Testimonial at this time, but may do so at its own discretion at a later date. You grant us the option to include your first name and your photograph (either provided by you or your Facebook profile picture) to be featured with your Testimonial. You also agree to provide us with your full name, address and phone number for internal use only. Only your first name and geographic location (city, state) shall be posted with your Testimonial and picture on the Site. Thank you in advance for shopping with Holistic Thyroid Care. Please read this policy carefully. This is the Return and Refund Policy of Holistic Thyroid Care. Due to the fees we incur after a lab test kit is shipped, we are unable to offer returns or exchanges on test kits. If you find it necessary to cancel your appointment, we will understand. Please note that cancellations must be done no later than 72 hours (3 business days) prior to your scheduled call. To cancel, please do so from the initial confirmation email you received from Acuity Calendar and NOT by sending us an email to request to cancel. My assistant is part-time and does not handle appointment scheduling or cancellations. You may easily cancel and/or reschedule easily and quickly yourself using the initial confirmation email sent to you from Acuity when you booked your appointment. “No Show” appointments are non-refundable. Appointments not canceled prior to 72 hours (3 business days) of the scheduled appointment time will incur a fee. If you reside in any of the following states that do not participate in eNLC Legislation (Enhanced Nursing Licensure Compact [eNLC), unfortunately, at the present time we cannot accept you as a client. Only clients who live in participating eNLC states may we work with telephonically or digitally. It is to be understood that we make every effort to support all clients and that each clients success depends on a variety of factors including, but not limited to: adherence to program recommendations, motivation, understanding, commitment, and compliance. You are in no way guaranteed any specific results. We accept no liability for outcomes related to your use of any program including blog suggestions, guest blog posts, recipes, recommended vitamins and supplements, general lifestyle and wellness recommendations, educational videos, e-Courses, webinars, summits and/or podcasts. The user’s continued reading and use of the Site indicates the user’s acceptance of these terms and conditions. Shannon Garrett, BS, RN, CNN, Autoimmune & Thyroid Nurse Consultant and Certified Functional Nurse-Nutritionist [not a registered dietitian (RD) or licensed dietitian (LD) and nurse educator is licensed by the state of Tennessee and certified by the Nurse-Nutritionist Certification Board. She is not a medical doctor. The information presented on the Site has not been evaluated by the Food and Drug Administration and the information provided is not intended to diagnose, treat, cure, or prevent any disease or health issue. The information shared is intended to serve as a guideline to assist the reader in using preventative health knowledge effectively for improving overall health. 1. All information offered on this website should NOT substitute for sound clinical judgment or conventional therapies that may be needed for a particular individual. 2. Before starting any product(s) read carefully and consider all directions and warnings on the product label. Individuals are responsible for what they choose to put in their body. 3. The guidelines, suggestions, and tips offered on this website are intended to assist individuals in achieving optimal health and well-being. 4. Diagnosing nutritional issues is not covered under a Nurse License Scope of Practice. Nurse licensing boards in both the USA and Canada believe that treating nutritional issues are not covered under a Nurse License Scope of Practice. These boards prefer RNs not use their nurse license when treating nutritional issues unless they are doing so under the supervision of a primary care physician. Therefore, Shannon Garrett, RN does not engage in diagnosing or treating nutritional issues. Registered Nurses may, however, use their license and any certifications they have to teach the public about nutrition and nutritional issues as long as they do not diagnose nutritional issues. As a nurse-owned Service we are in full compliance with the Tennessee State Board of Nursing and we reserve the right to outsource nutrition consultation services by contracting with independent Registered Dieticians (RDs), Medical Doctors (MDs), Nurse Practitioners (NPs) and diagnostic lab facilities who provide RD services, prescription services, diagnostic services, nutritional lab interpretations, and recommendations. THIS SITE IS CONTINUALLY UNDER DEVELOPMENT AND COMPANY MAKE NO WARRANTY OF ANY KIND, IMPLIED OR EXPRESS, AS TO ITS ACCURACY, COMPLETENESS OR APPROPRIATENESS FOR ANY PURPOSE. THIS SITE OFFERS HEALTH, WELLNESS, FITNESS AND NUTRITIONAL INFORMATION AND IS DESIGNED FOR EDUCATIONAL PURPOSES ONLY. YOU SHOULD NOT RELY ON THIS INFORMATION AS A SUBSTITUTE FOR, NOR DOES IT REPLACE, PROFESSIONAL MEDICAL ADVICE, DIAGNOSIS, OR TREATMENT. IF YOU HAVE ANY CONCERNS OR QUESTIONS ABOUT YOUR HEALTH, YOU SHOULD ALWAYS CONSULT A PHYSICIAN OR OTHER HEALTH-CARE PROFESSIONAL. DO NOT DISREGARD, AVOID OR DELAY OBTAINING MEDICAL OR HEALTH RELATED ADVICE FROM YOUR HEALTH-CARE PROFESSIONAL BECAUSE OF SOMETHING YOU MAY HAVE READ ON THIS SITE. THE USE OF ANY INFORMATION PROVIDED ON THIS SITE IS SOLELY AT YOUR OWN RISK. SGW Inc. dba Holistic Thyroid Care will also retain Usage Data for internal analysis purposes. Usage Data is generally retained for a shorter period of time, except when this data is used to strengthen the security or to improve the functionality of our Service, or we are legally obligated to retain this data for longer time periods. Under certain circumstances, SGW Inc. dba Holistic Thyroid Care may be required to disclose your Personal Data if required to do so by law or in response to valid requests by public authorities (e.g. a court or a government agency). SGW Inc. dba Holistic Thyroid Care aims to take reasonable steps to allow you to correct, amend, delete, or limit the use of your Personal Data. You have the right to data portability for the information you provide to SGW Inc. dba Holistic Thyroid Care. You can request to obtain a copy of your Personal Data in a commonly used electronic format so that you can manage and move it. Content is for Health Promotion, Educational, and Informational Purposes Only. The content provided on this Site is for informational purposes only. We make no representations as to the accuracy or completeness of any information on this site or found by following any link on the site. We are not liable for any errors or omissions in this information nor for the availability of this information. We are not liable for any losses, injuries, or damages from the display or use of this information. The information presented has not been evaluated by the Food and Drug Administration (FDA) and the information provided is not intended to diagnose, treat, cure, or prevent any disease. The following information serves as guidelines to assist the individual in using preventative health knowledge effectively for improving overall health. The information on this website is not a substitute for sound clinical judgment or conventional therapies that may be needed for a particular individual. While we hope our viewers find our tips helpful, interesting, and inspirational as a learning tool, it is the responsibility of the individual to consult with his or her physician prior to starting any new lifestyle change including, but not limited to diet, exercise, nutrition, medication and/or supplement regimen. We thank our readers and encourage everyone to share this Site with anyone who may also find it useful. Thanks for visiting! Any waiver or forbearance by the Service of any breach by you of any provision of this Agreement shall not be construed as a waiver of any subsequent breach by you. This Agreement shall be binding upon and inure to the benefit of the Service and our respective assigns, successors, heirs, and legal representatives. Neither this Agreement nor any rights hereunder may be assigned without the prior written consent of the Service notwithstanding the foregoing, all rights and obligations under this Agreement may be freely assigned by the Company to any affiliated entity or any of its wholly-owned subsidiaries. If any clause within the Provision (other than the Class Action Waiver clause above) is found to be illegal or unenforceable, that clause will be severed from this Provision, and the remainder of this Provision will be given full force and effect. If the Class Action Waiver clause is found to be illegal or unenforceable, this entire Provision will be unenforceable and the dispute will be decided by a court.